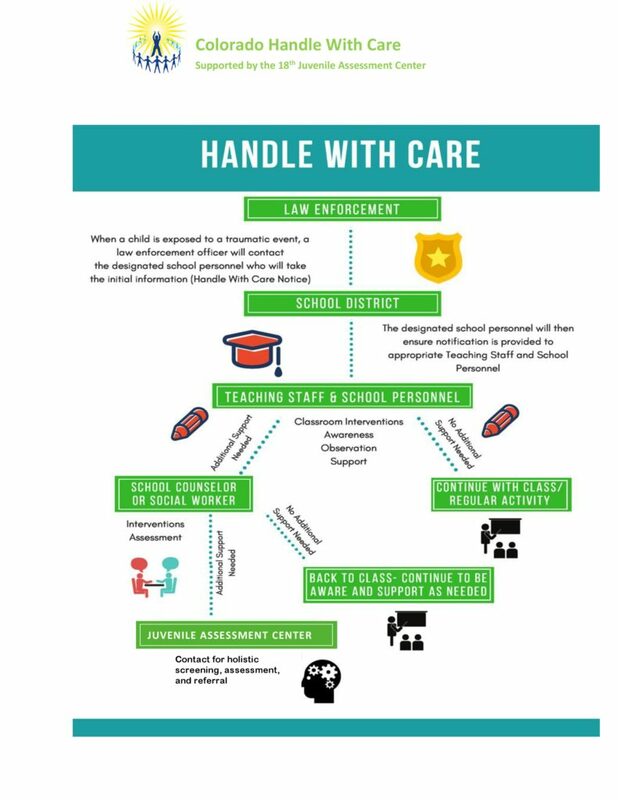 Handle With Care (HWC) is a trauma-informed collaboration between local law enforcement, schools and the Juvenile Assessment Center. Every year, millions of children in this country are exposed to violence, yet few of these children ever receive help in recovering from the psychological damage caused by this experience. The first crucial step in protecting our children is to identify and provide timely and effective help to those who already are being victimized by violence. Research now shows that trauma can undermine children’s ability to learn, form relationships, and function appropriately in the classroom. HWC programs support children exposed to trauma and violence through improved communication and collaboration between law enforcement, school agencies and community agencies, and connects families, schools and communities to community services. Handle with Care provides the school or child care agency with a “heads up” when a child has been identified at the scene of a traumatic event. It could be a meth lab explosion, a domestic violence situation, a shooting in the neighborhood, witnessing a malicious wounding, a drug raid at the home, etc. Police are trained to identify children at the scene, find out where they go to school and send the school or agency a confidential email or fax that simply says: “Handle Johnny with care.” That’s it. No other details. Teachers have been trained on the impact of trauma on learning, and are incorporating many interventions to mitigate the negative impact of trauma for identified students, including: sending students to the nurse to rest (when a HWC has been received and the child is having trouble staying awake or focusing); re-teaching lessons; postponing testing; small group counseling by school counselors; and referrals to counseling, social service or advocacy programs. The school also may implement school-wide interventions to help create a trauma sensitive school (Greeters; pairing students with an adult mentor in the school; utilization of a therapy dog; and “thumbs up/thumbs down” to indicate if a student is having a good day or a bad day). When identified students exhibit continued behavioral or emotional problems in the classroom, the counselor or principal refers the parent to the Juvenile Assessment Center. 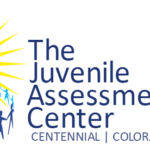 The Juvenile Assessment Center’s Community Assessment Program (CAP) employs licensed clinicians to complete the assessment progress. This consists of a parent interview, a thorough bio-psycho-social assessment of the youth to include the use of evidence-based tools and connections to resources based on the outcomes of the assessment. The clinicians utilize a strengths-based, one-on-one conversation with the youth’s parents, guardians or caretakers that allows the clinician to gather perspective of youth’s current and historical behavior, development and trauma history, criminal and service history. While the conversation with the parent, caregiver or guardians are focused on the needs and history of the child, the clinician is also taking into account the needs of the family as a whole. After the parent portion of the assessment, the Clinician will meet with the youth one-on-one utilizing motivational interviewing to obtain as much information as possible from the youth regarding all aspects of their life. This includes education, peer relationships, prevalence or history of trauma, drug and alcohol usage, mental health, sexual health, pro-social involvement or interests, employment interest and history, social media usage and familial discord of incarceration, mental health, substance use and medical issues. In conjunction with the parent, caregiver, guardian and youth assessment, clinicians utilize evidence-based behavioral health screens to further drive service needs and recommendations. Based on the information gathered in the assessment and from the tools, JAC Clinicians make individualized referrals and recommendations. These referral and recommendations are made taking into consideration prior service involvement, community and location, insurance and cultural needs. Referrals and recommendations are made to address treatment needs as well as prosocial needs or interests, basic needs, educational needs as well as gang reduction support and case management. Post-assessment clinicians will provide outreach to youth and families to ensure follow through with recommendations and referrals. Clinicians are also addressing any barriers to accessing services and continue to serve as a support to the family to address needs. For more information on the Handle With Care model, how to start it in your community, or scheduling a training for law enforcement or school personnel, contact Executive Director Molli Barker at 720-213-1321 or mbarker@arapahoegov.com.